As British Vogue continues to celebrate its 100th anniversary, Alexandra Shulman has taken to the pages of the magazine to tell the readers all about Vogue - Voice of a Century, the limited edition anthology being published by Genesis Publications. In her editor's letter, in the July issue of the fashion monthly, Shulman discuss her favourite books of the moment, touching on The Girls, by Emma Cline, before expanding on Vogue - Voice of a Century. 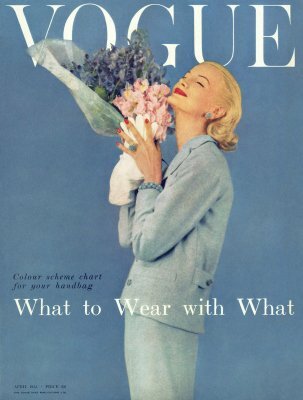 Shulman describes the book as an "exquisite and unique limited-edition anthology of Vogue", and asserts that "it will unarguably be one of the most sought-after gifts of the season." The book's launch has also been announced on the Vogue website, where you can view a gallery of selected pages. This partnering of the fashion magazine with Genesis Publications will document British Vogue's history since its founding in 1916. 100 Vogue contributors are taking part, including photographers such as Tim Walker and Richard Avedon, models such as Kate Moss and Lily Cole, and of course Grace Coddington and Alexandra Shulman. To read Alexandra Shulman's letter in Vogue, click here. To read the announcement and view the gallery, go to Vogue.com. 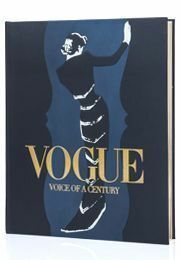 To find out more about Vogue - Voice of a Century, go to Vogue-Century.com.